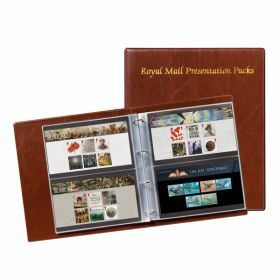 This Special Offer includes an Album complete with 17 leaves together with a Slipcase, specially designed to display and protect your prized First Day Covers. Save £4.48 when bought together. Specially designed to show off your First Day Covers in their full glory. 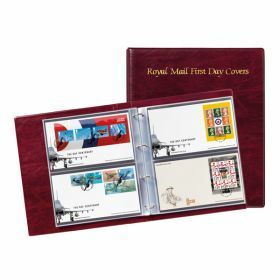 This Special Offer includes an Album complete with 17 leaves together with a Slipcase, specially designed to display and protect your prized First Day Covers. Save £4.48 when bought together. Extra Leaves are available in packs of 10, Code PA002. 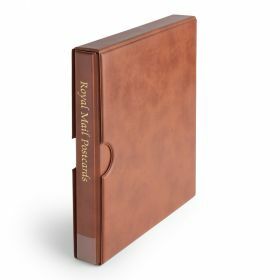 Slipcase Dimensions Width 288 mm, Height 325 mm, Thickness 70 mm. Please note that we are temporarily out of stock of the First Day Cover album but expect a further consignment of albums to be delivered into our fulfilment centre on 18th April. We will despatch your order as soon as we can in week commencing 22nd April. We apologise for the delay and any inconvenience this may cause..